Delivery from £2.80 to United Kingdom in 5 - 9 working days. 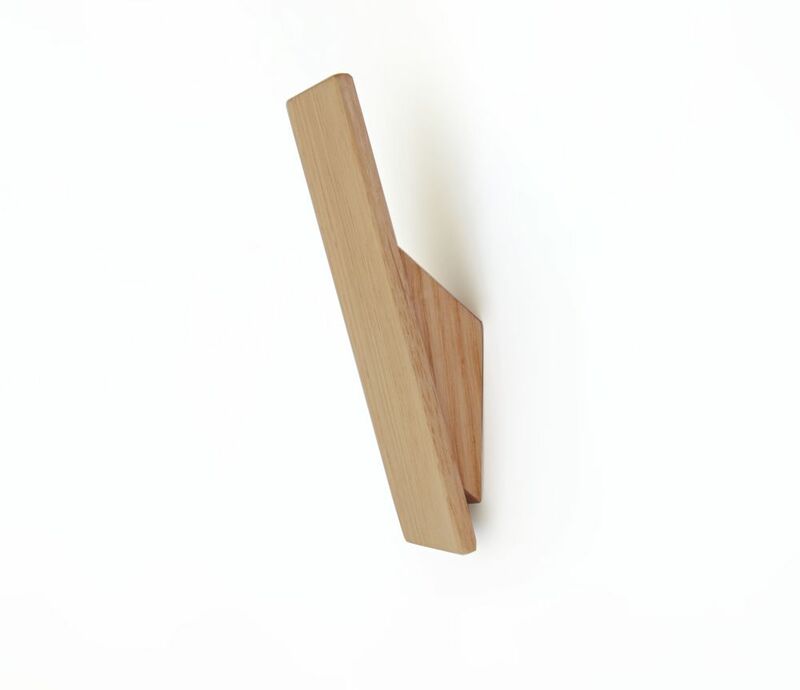 Wooden wall hook designed for simplicity and practicality. A perfect finishing touch for a range of interiors, for hanging coats, towels and other items. They are handmade from oak and finished with wax to protect and really enhance the beautiful colour and grain pattern of the wood. The hooks are mounted with two screws, using keyhole slots in the back so no fixings are on show. Templates are provided so fitting is simple as well as secure. Handmade objects for everyday use.